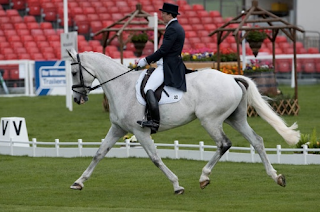 Badminton Horse Trials: Who's new? There are a clutch of first-timers hoping to impress at the Mitsubishi Motors Badminton Horse Trials this year. Of the 18 first-timers, only five are British - Daniel Sibley, Nicola Malcolm, Sian Wynne Morris, Sarah Bullimore and Rachel Gough. The youngest of these is 21-year-old Rachel Gough, who is riding her own and Michael and Sarah Gough's Bow House Mandalin. The pair got into Badminton from 15th on the waiting list and they finished 26th at Burghley in 2008 - a first attempt at four-star level for both horse and rider. This leaves 13 foreign first-timers - Alex Hua Tian, Alexander Peternell (pictured), Camilla Speirs, Sidney Dufresne, Marco Savoini, Simone Deitermann, Duarte Seabra, Gianluca Gardini, Bruce Haskell, Geoff Curran, Juan Carlos Garcia, Kai Ruder and Benjamin Massie. Duarte Seabra is the first Portugese rider to compete at Badminton. The 24-year-old has produced his horse, Brave Heart, from a novice and last year the pair finished second in the Bramham under 25 championship and 21st at the Fontainebleau European Championships. Camilla Speirs (20) is the second youngest rider competing at Badminton this year (after Alex Hua Tian). She is a stalwart of the Irish junior and young rider teams and finished ninth at the Young Rider Europeans in 2008. She rides the 15.1hh Portersize Just A Jiff and comes to Badminton on the back of a fourth placing in the CIC*** at Burnham Market earlier this year. This might be a first attempt at Badminton for Gianluca Gardini and Lion Dancer, but the combination comes here with good four-star form, having finished ninth at Pau and 12th at Luhmuhlen last year.